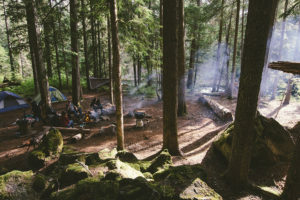 Suspension/Camping Retreat Weekend in Whistler, BC: July 8-10 2016! The RISE Suspension Crew is hosting a weekend camping/suspension retreat Fri July 8 – Sun July 10 in Whistler, BC! Come for part of the weekend or all of it! Either is fine, as there is no cost to attend! Pet/family friendly. Ride shares from Vancouver available. Space will be limited, so email bookings@therisehookdivision.com to get in on it! RSVP and share to spread the word! Today is suspension day in Edmonton, AB! Come hang out with The RISE Suspension Crew! Email bookings@therisehookdivision.com to book in. Sunday March 3rd is suspension day in Toronto! If you would like to hang, email bookings@therisehookdivision.com to book yourself in! Start time is noon at a private location near High Park. Location will be disclosed after your booking is set up via email. Feb 20 2013: Suspension Day in Edmonton! Wednesday, Feb 20th is suspension day in Edmonton! Start time is 7pm at a private location. Location will be disclosed after your booking is set up via email.